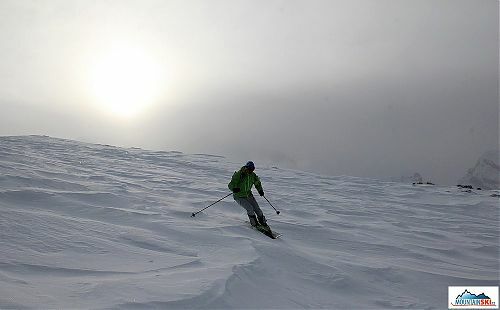 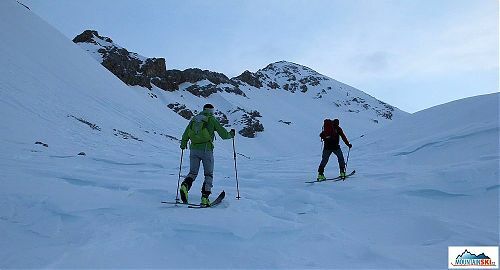 We got on our skis before 7 a.m. We reached fastly the pass (2172 m). 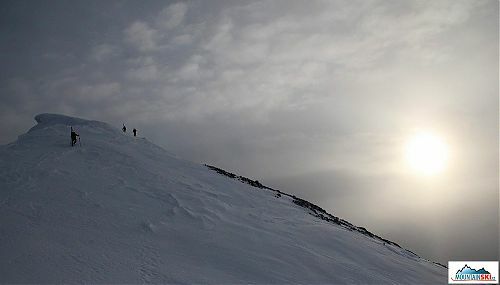 Followingly, we traversed to relatively steep terrain, where the climb on the hard frozen surface was not the ideal one. 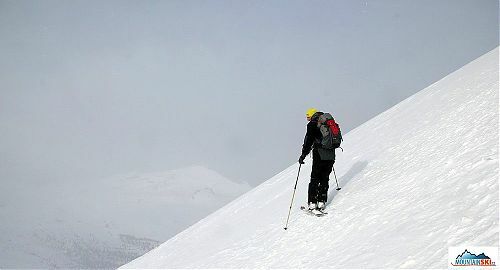 We continued by steep traverses up to the plateau above rocky wall. 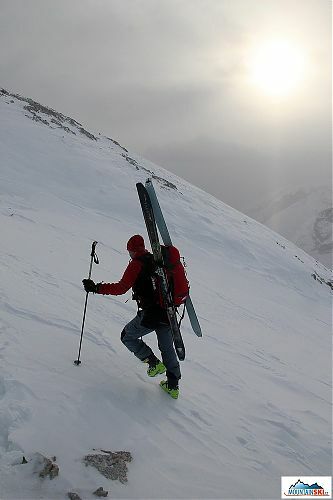 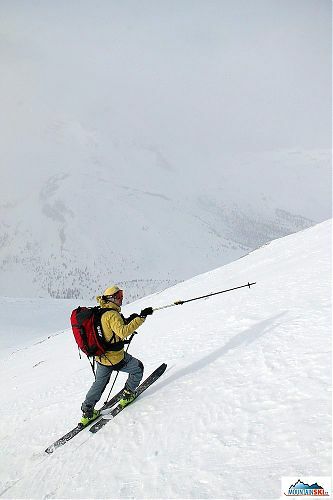 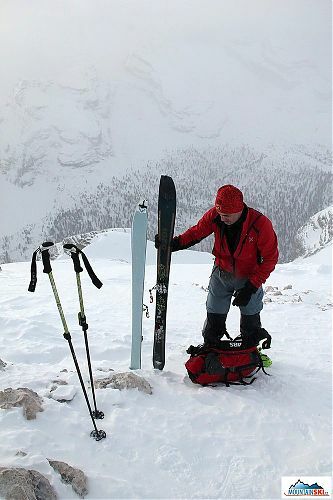 We turned left and a short time after we took off skis and attached them to our backpacks. 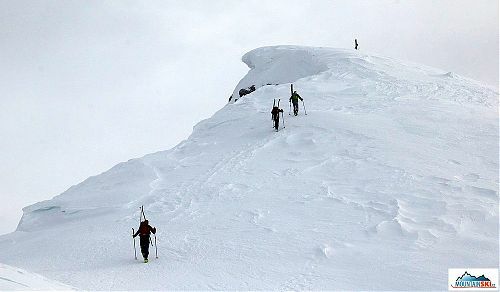 We reached the ridge on feet directly, then turn right and final part to the summit with quite big cross was just in the front of us. 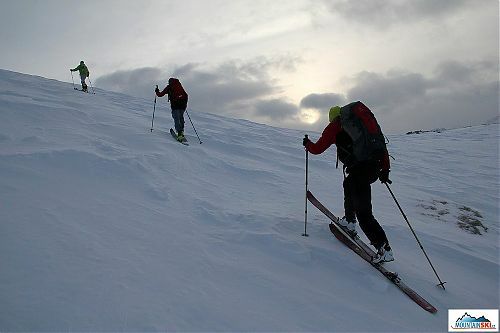 There was quite fresh wind on the summit, so we spent there just a short time. 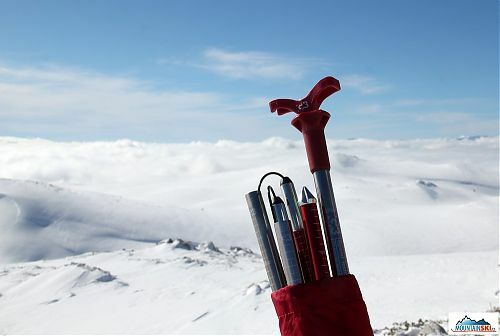 The summit book was missing as the box for the book was destroyed. 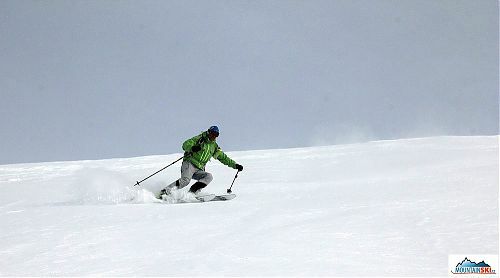 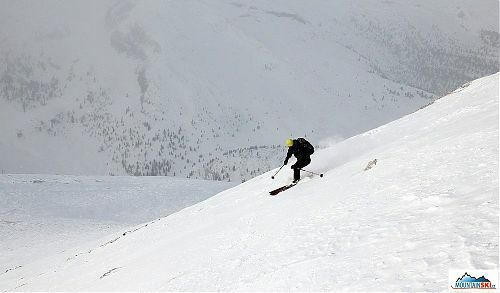 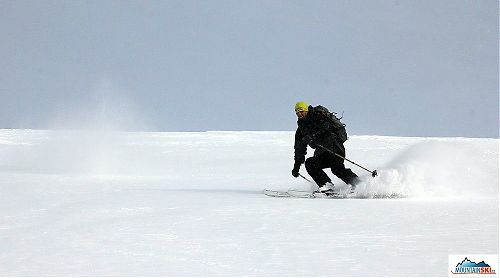 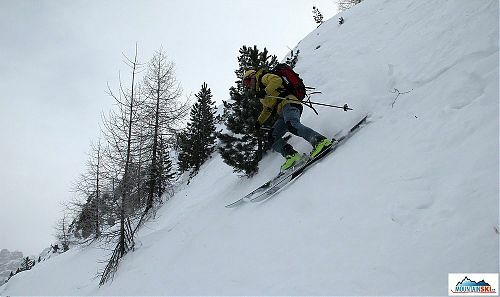 Skiing down from the summit was quite nice – majority of the downhill was on the hard surface. 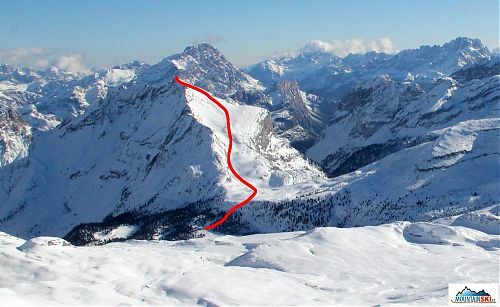 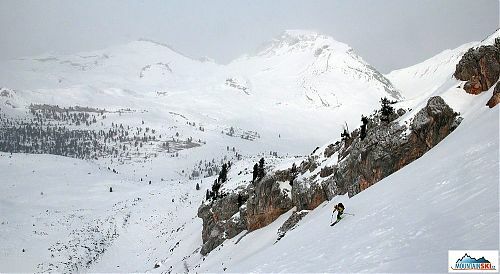 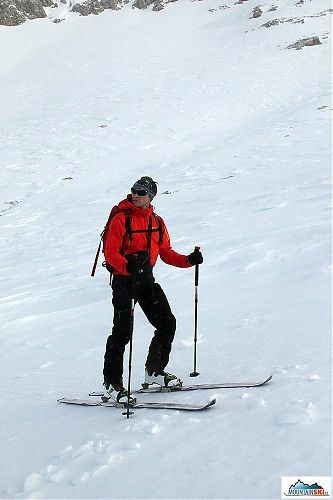 My colleague and I skied down directly from the pass to Rifugio Fanes via quite steep terrain. 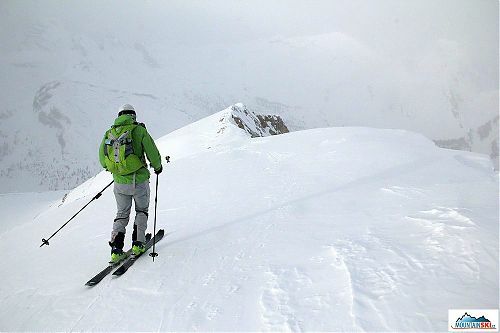 We said goodbye in the hut, and there was a long downhill waiting for us. 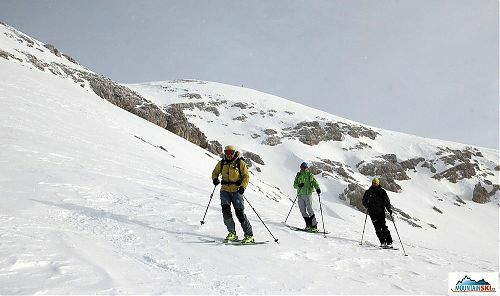 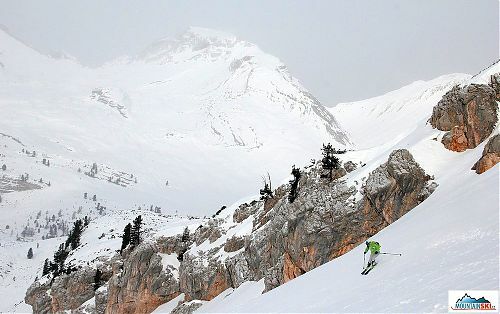 The skiing down to Pederü was excellent, the only trouble was found in the final part just above the valley with quite a lot or small stones and rocks.